Amazing Sample pages: About Us, Contact Us, 404 page, Under Construction. 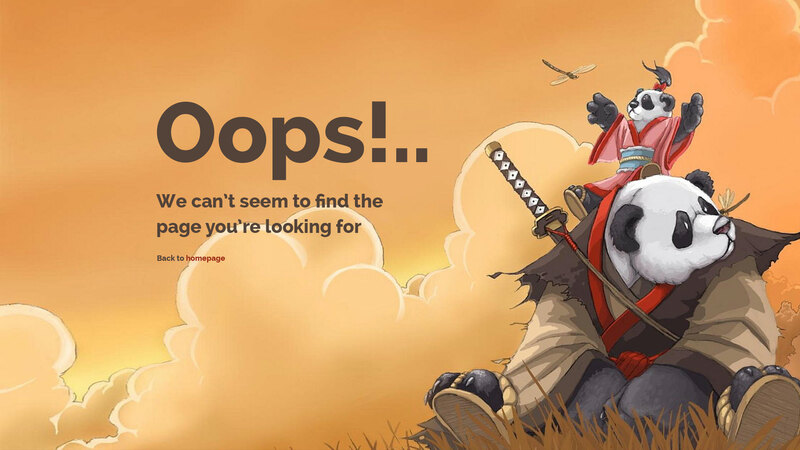 GamerPro is equipped with fast loading back-end helping improve your website. This theme fits well on all different devices with retina ready layouts. Theme users can make their website look like demo by using one-click sample data & XML export. 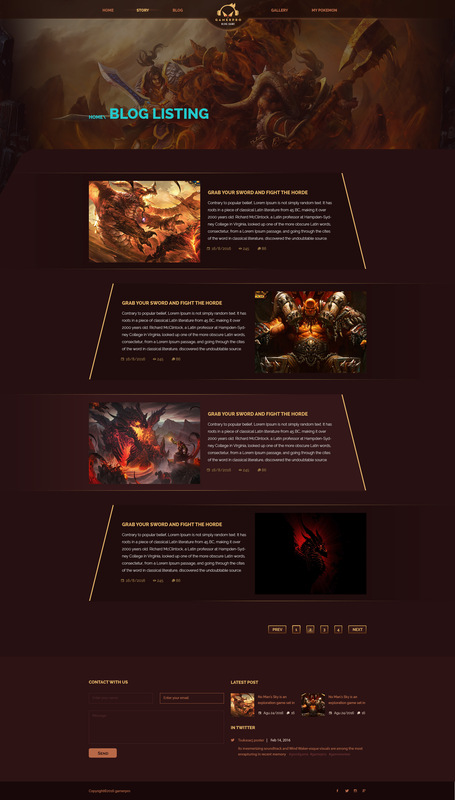 GamerPro with powerful theme options yet very easy to use will help handle your website more effectively. Pricing $59 (Sale $19) with quality checked, lowest price guarantee and no transaction fees. 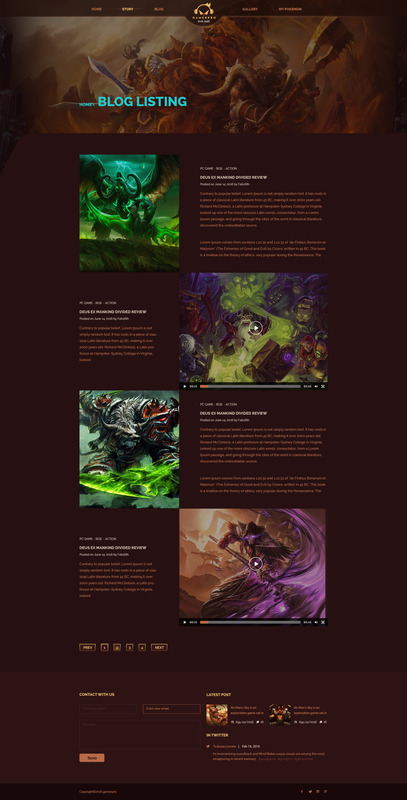 GAMERPRO – Fantastic Blog WP theme for GAME sites which is definitely one of the most unique, extraordinary and minimal design for game blogging on the market so far. Of course, you can use the GAMERPRO theme to create a sleek, eye-catching news, online magazine, entertainment content, publishing or review site. GAMERPRO will offer every feature which is suitable for game reviews, game news, game forum, game blogs or any other gaming communities. You can manage your game blog posts,comments, discussions etc easily. 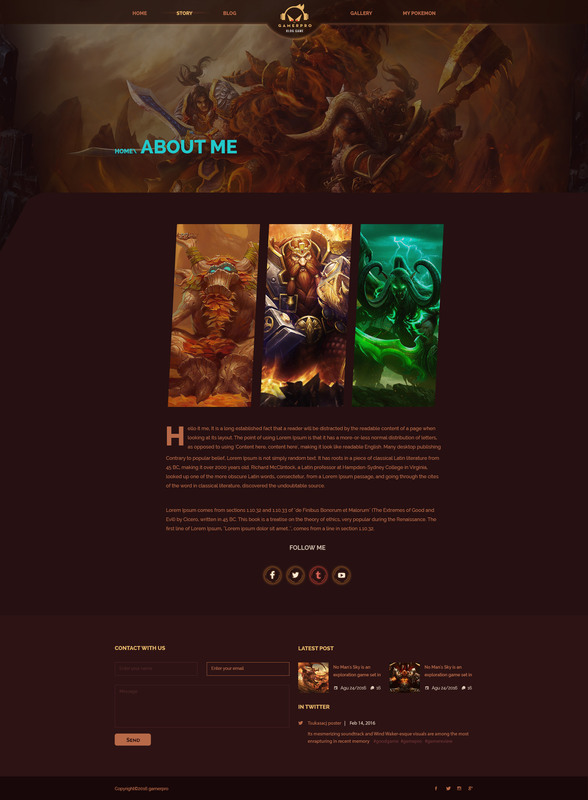 Other similar categories like movie, etc also can use this design with only some customization and changes.Along with 03 super stunning and appealing homepages, various blog listing and detail layouts and various sample page layouts such as About Us, Contact Us, 404 page, Under construction etc, GAMERPRO has everything in a lightweight and easy-to-use package. Besides, lots of color pickers in the admin area that will help you improve or change the look and feel of your website in detail will be coming soon. 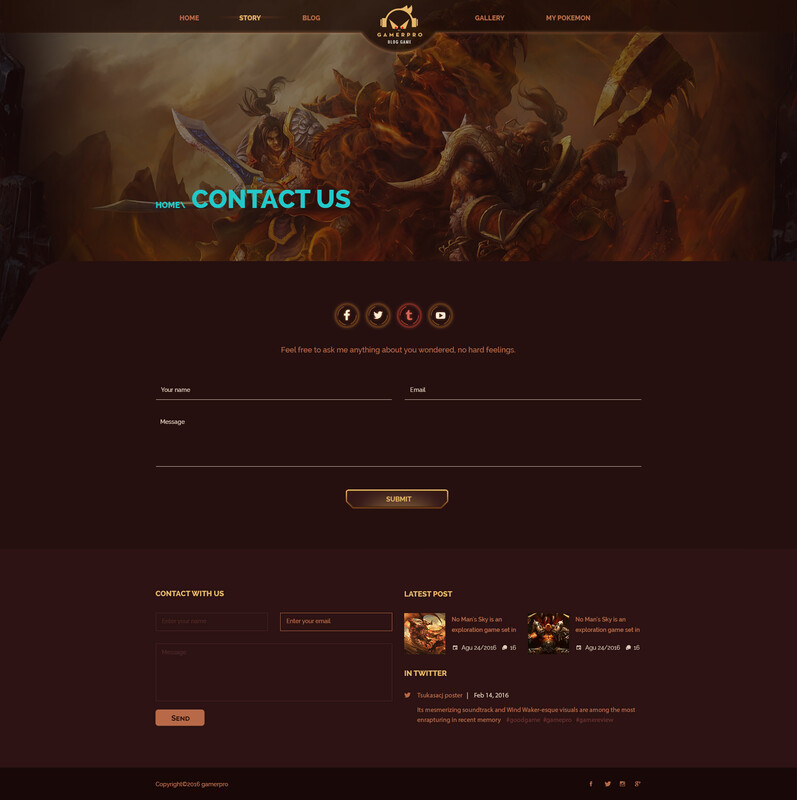 Are you looking for a Gaming WordPress theme for your Game site? Then GAMERPRO might be your best choice! See full features above to convince yourself!